People especially those living in US, love to celebrate the event of Halloween. We have seen people spending way too much for this day and they never really mind spending for a higher expenditure to bring them the kind of happiness they anticipate from Halloween day. It is not only about a night setting, since the beginning of October you will see the spur and speculations getting swift and malls/markets open up their Halloween stalls where Halloween makeup kits are being purchased by people, where you can grab for yourself horrific and scary masks and too on cheaper sale/discounted price, where you may choose outfits and avatars to put on Halloween day and all Halloween merchandises as well (party pops, mugs). 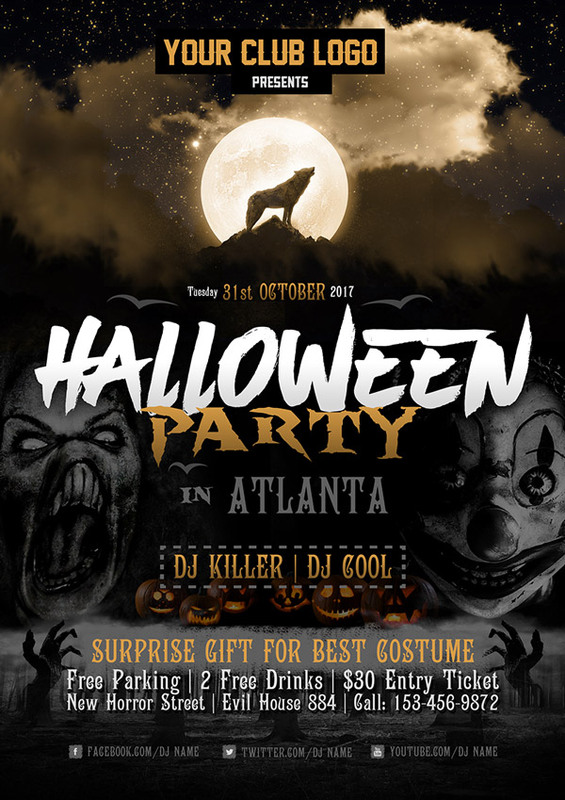 It is about the aura and ambiance which is recreated every year, an element of horror is the key, also background music, sound effects and scary howls are being played with blinking flashlights and pumpkins are placed everywhere to cause fear and terror. This weird scenario is not cause shrivels and disturbances, it is not about spreading mess and chaos, it is about just celebrating the day with a touch of slight madness and for the sake of fun with no intention to harm peace & harmony among people. Guess what I am outing forward today? 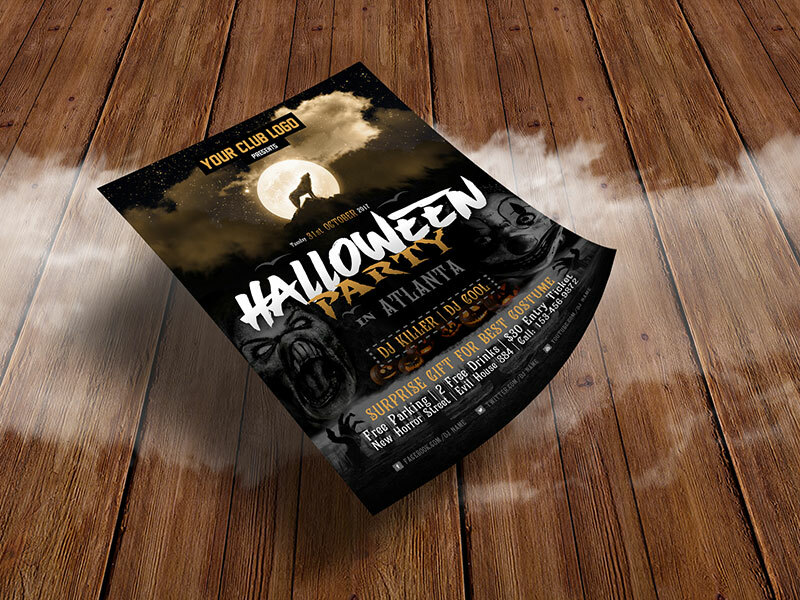 It is about scary Halloween flyer design template PSD, you may get it printed; add the location/setting/venue, timings of the event/masquerade or of Halloween party, dress code can be mentioned, theme and colors, feast timings and in short all the details about Halloween event can me mentioned on the flyer. 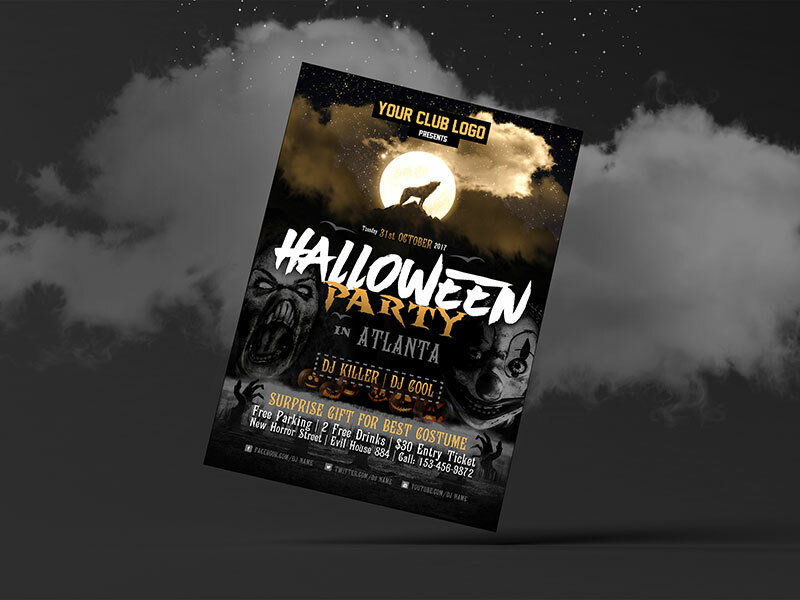 People also post some scary pumpkin on the flyers along with their contact information so if confused others may call you up for directions. 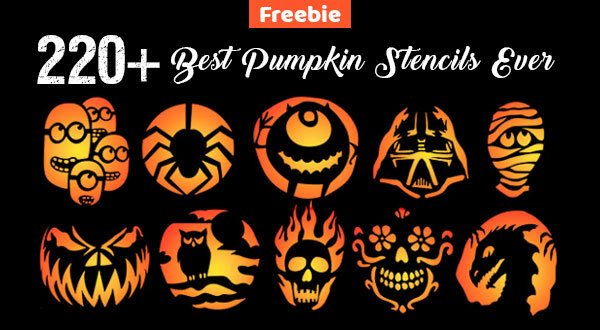 Stay tuned for more freebies and that too precisely about Halloween, stay safe and enjoy the event as much as you can, we love to put forward design feed to help you exploring the design trends happening across/around the world.